Hello, I’m the founder and CEO of Krotos. Krotos develops innovative audio software and aims to fundamentally change the way sound effects are created. Krotos’ Dehumaniser has made it possible for actors to perform other-worldly creature and monster sounds in blockbusters like Avengers: Age of Ultron, The Jungle Book, Far Cry 4, Doom, and League of Legends. Just what is Reformer? And how can it be used for Foley and sound design? Reformer is a brand-new way to work with sound effects libraries, allowing you to create and sculpt sound effects in real-time based on any incoming audio. Instead of editing multiple sounds from a library to create a sound effect that matches with your visuals, you can just perform the effect in real-time from a palette of pre-analysed library sounds. How did the idea for Reformer come about in the first place, and how long has it been in the works? Initially, we wanted to develop a module in Dehumaniser 2 that would allow you to trigger and edit animal sounds automatically in real time, using your voice as an input. When the development team made the first prototype, it was so impressive in that it could be used for so many effects, that we decided to make it its own plugin. All together, it took around two years to develop Reformer. What are some real-life situations where you see Reformer being particularly useful? 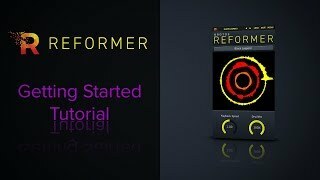 Reformer is like an instrument for designing sound effects or adding textures to pre-recorded audio. It can be used for any creative sound design, from Foley to collisions, animal sounds and music. For example, instead of going through hundreds of tiger sounds to create a specific expression for your film or game, you can just perform it and the plugin will sculpt the expression, automatically sourcing and combining from a palette of pre-analysed library sounds in real time, based on your voice. If you needed to create a collision and needed multiple layers of Foley, you can just choose rock, metal or smashing glass libraries in Reformer and any audio input with sharp attacks to make the sound. If you wanted to make the sound of let’s say, a Transformer, then you would have to go through multiple mechanical sounds and edit them to match with the duration of the animation. With Reformer, you can just choose the mechanical library and perform it without worrying about the length of the animation. Want to take Reformer for a spin? You can do that, and it’s entirely free. It can be downloaded here, and comes with a free black leopard SFX library included. Happy designing (and experimenting)! How has the product evolved, from the initial idea to the release version? The first version was very rough in terms of functionality and quality. After seeing the potential of the technology, we didn’t know if we would be able to achieve the vision of the product. It took a lot of R&D time to get to the point of commercial release but we are very happy with the results. There was lot of testing and tweaking needed to finalise it, and the CPU consumption was relatively high. Now, the sound is very organic and the CPU consumption is around 0.3% (In Reaper, on an average machine). From a technical perspective, how does Reformer work? Reformer uses artificial intelligence and advanced signal analysis to allow you to perform sound effects with your voice or any other audio input. It’s advanced technology analyses multiple characteristics of the input sound and then matches them in real time with the pre-analysed libraries to reconstruct a new sound. Any kind of source material Reformer is particularly useful for/with? Voice works exceptionally well with Reformer because you can control it instantly and transmit your expression to the sound effect design in detail. You can also perform using just a microphone in the same way you would perform Foley. For example, you could choose the leather library in Reformer and just record your footsteps wearing trainers but it will sound as if you were wearing leather shoes. Also, percussion works well to design explosions or collisions, and you can even feed Reformer with white noise or synthesisers to create atmospheric sound. Each library works better with different input sounds; for example, animal sounds work better with voice because the content is more similar than a glass smashing sound, which will work better with transients. How can users get sounds into Reformer? And are there any ready-made packs available? 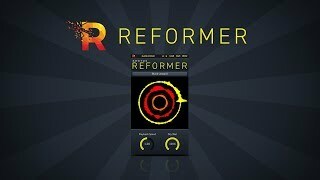 Reformer is available for free at krotosaudio.com, which includes a free black leopard sound library. We now have more than 100 custom-made, Reformer compatible libraries available for purchase on the Krotos website, including libraries from Boom, SoundBits and Coll Anderson. The next step is to keep improving Reformer based on the feedback from our users, and explore how it can be used for VR, AR and MR. The fact that you can construct complex sounds and add organic textures to audio in real time means that, in a virtual world, Reformer will respond and re-design as player characters and NPCs interact unpredictably with objects made of different material types. A big thanks to Orfeas Boteas for sharing the story behind Reformer!